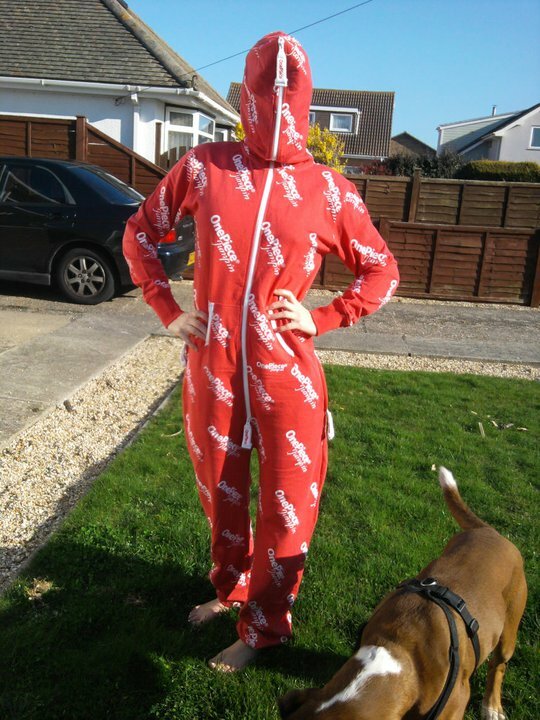 This is Victoria – big fan of OnePiece from Bournemouth, enjoying the sunshine, walking the dog, wearing her Red Pattern OnePiece and having her picture taken. Summer’s coming, and these lightweight OnePieces are becoming more popular. I’ve had several people asking me about when will there be some summer OnePieces in the online store… well, hopefully it won’t be long. If you have some good pictures of you and your OnePiece – send them in to us.